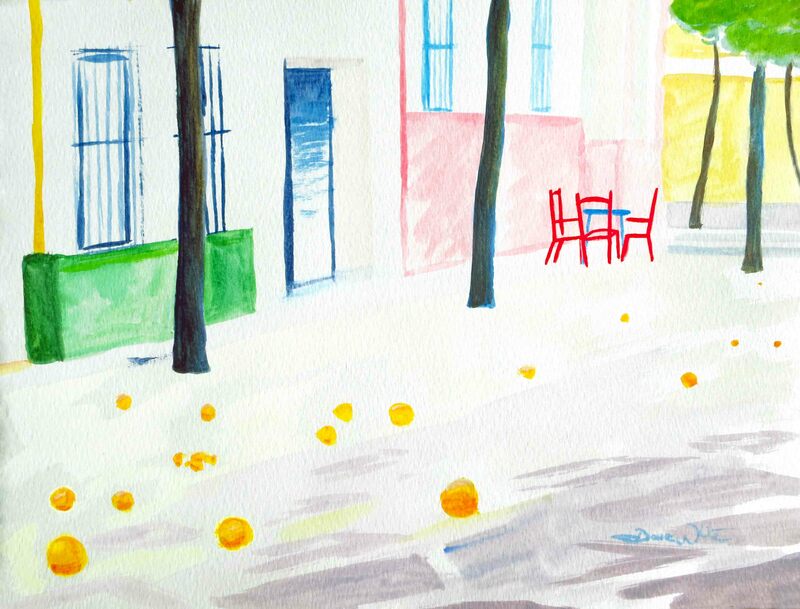 As I’ve written about before, the oranges on the streets in Sevilla, Spain, are one of the magical things I love about the city. Ever since the first time I went there almost 11 years ago, in February 2004, I always think of the scent of oranges by the time February rolls around here in the United States. Every time I eat an orange, the smell reminds me of Sevilla. It’s just a beautiful thing to have fruit trees planted all over a city!